“Quite frankly,” Republican Senator Lindsey Graham says, “Chuck Hagel is out of the mainstream on most issues regarding foreign policy.” Citing Hagel’s views on Iran, Texas Republican Senator John Cornyn said he wouldn’t vote for him “because he’s certainly outside of the national security mainstream.” William Kristol’s Emergency Committee on Israel says Hagel’s views place him “well outside the American mainstream.” But in Washington, one politician’s mainstream is another politician’s creek. Hagel represents a distinct foreign policy that has prominent adherents in Washington’s foreign policy community and that can’t be dismissed as marginal or fringe by a few rightwing Republicans. Hagel came by his views through reading—he is largely self-educated—and through reflection on his own experience in Vietnam. But by the onset of the Iraq War in 2003, he had arrived at similar conclusions to a group of former foreign policy officials that included Brent Scowcroft, Zbigniew Brzezinski, Lee Hamilton, and Thomas Pickering. He has worked with them on reports and commissions, and all of them have endorsed his nomination. And they are just the most prominent names. A large, similarly inclined and well-attended discussion group, begun in the wake of the Iraq war by Washingtonians John Henry and C. Boyden Gray and composed partly of former officials, has been meeting for a decade. These foreign policy officials are sometimes described as “realists.” And Hagel has described his own views as “principled realism.” But their kind of realism is really different from the academic realism of Kenneth Waltz, which focuses only on power relations between states, or even the Cold War realism of Henry Kissinger or Jeane Kirkpatrick, which condoned anti-communist autocracies. Hagel and the ex-officials understand realism to mean a “realistic”—as opposed to “reckless”—foreign policy. They don’t reject the idea that the world would be better if dictatorships became democracies, but they are very cautious about how the United States could bring that about. Hagel and the former officials are internationalists. They believe in alliances and in what George H.W. Bush and Scowcroft called creating a “new world order”—a phrase that Hagel himself still uses. While many of the neo-conservatives concluded that after the Cold War, the world had become unipolar, with the United States at the top and able to impose its will on “rouge nations,” the realists drew a very different conclusion. They believe that the Cold War’s end had created a multipolar and potentially anarchic world that threatens to erupt in new kinds of wars and crises that require coordinated responses. They also think that the world has become what Brzezinski calls “post-imperial”— that the great powers can no longer simply impose their will upon lesser developed countries. And that particularly applies to the Middle East where resentment of Western imperialism endures. That’s where the first application of this realism occurred. In Gulf War of 1991, the George H. W. Bush administration created a coalition to kick Saddam Hussein out of Kuwait. The administration won Security Council backing and the support of Saudi Arabia, Syria and other Arab states. That undermined Iraq’s case that the United States was trying to impose its imperial will. The Bush administration also adopted the limited objective of ousting Iraq from Kuwait, but not invading Iraq. Scowcroft, who was Bush’s National Security Advisor, later explained that they were worried about “turning the whole Arab world against us” if they marched on Baghdad. In other words, Scowcroft and Bush understood that in a post-imperial world the United States could not unilaterally undertake regime change without suffering severe consequences. Scowcroft made a very similar argument in August 2002 against America invading Iraq to remove Saddam Hussein. And while Hagel voted for the resolution to authorize force in October 2002, he did so on the assumption that Bush was going to give priority to creating a Gulf War-type alliance through the United Nations. "Going it alone and imposing a U.S.-led military government instead of a multinational civilian administration could turn us from liberators into occupiers, fueling resentment throughout the Arab world," he wrote. When the United States did invade, and became occupiers, Hagel joined Scowcroft in opposition. But Hagel has opposed the United States unilaterally imposing sanctions. And Hagel and the former officials think that if the United States tries to take out Iran’s nuclear facilities either unilaterally or in conjunction with Israel, the U.S. could lead to “problematic consequences for global and regional stability, including economic stability,” while only delaying, or even making more certain, Iran’s acquisition of a bomb. According to a report last September signed by Hagel, Scowcroft and Brzezinski, an American attack could lead to spiraling escalation and the “breakdown of hard-won global solidarity against Iran’s nuclear program, “damage to the United States global reputation” and “increased credibility for anti-American extremist groups.” Hagel, Brzezinski and Scowcroft back multilateral sanctions, but want them coupled with an American willingness to negotiate with Iran and with the promise of better relations if Iran agrees to suspend its nuclear program. That may not still be Hagel’s view. In his more recent statements, he seems to suggest that an attack against Iran is a possibility, but what seems fair to conclude is that if the United States were to conduct such an attack, he would only favor if it were done with the support of other key actors in the region. That view of American options toward Iran puts Hagel, as well as Scowcroft and Brzezinski, at odds with Graham and other neo-conservatives who want to brandish the threat of an American attack or of American support for an Israeli attack. Hagel wants the United States to put forward a two-state solution on the model of the “Clinton parameters” that Israeli and Palestinian negotiators discussed at Taba in January 2001, bordered by the 1967 Green Line (with line swaps) and with the Palestinians ceding the right to return and the Israelis unitary control of Jerusalem. To further negotiations, Hagel, Scowcroft and Brzezinski signed a report last year recommending that the United States talk to all parties, including Hamas, and should encourage reconciliation between Hamas and Fatah. What makes their outlook distinctive is the urgency they place on resolving the conflict along the lines of two states; their refusal to accept the view that America’s special relationship with Israel entails uncritical support for the Israeli government; their willingness to talk to Hamas as well as Fatah; and their disdain for attempts by AIPAC and other groups to silence critics of current Israeli intransigence. They construe being an “honest broker” as genuinely not taking sides, but recognizing that both the Israelis and Palestinians have legitimate rights to a state. That doesn’t seem controversial, but is contrary to the stance of organizations like the Zionists of America, which oppose a two-state solution, or AIPAC, which wants the United States to put the onus on the Palestinians in negotiations. Neither Hagel nor his critics represent something that could be described as the mainstream, but Hagel, Scowcroft, and Brzezinski certainly have as much claim to it as their critics. Does Lindsey Graham, who remains an enthusiastic backer of the Iraq War, represent the mainstream? Or other Hagel critics and unrepentent boosters of the Iraq War like the Washington Post’s or Wall Street Journal’s editorial boards? Or Kristol’s Emergency Committee, which refuses to take a position in favor of a two-state solution in Israel? 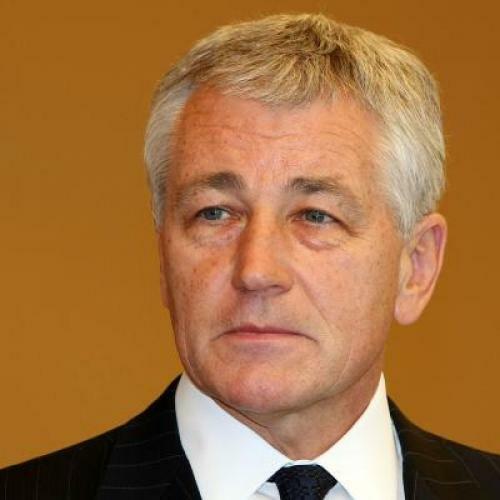 Hagel’s principled realism is not without flaws. Its caution over intervention can lead to inaction in places like Syria and Libya and to Kissingerian rationalizations about human rights violations. (Scowcroft invited some of these criticisms during the first Bush administration when he blithely justified inciting Iraq’s Shi’ites to rebellion, only to allow them to be slaughtered.) But in Washington today—where questions about the Middle East loom large Hagel's voice could play an important role preventing the United States from stumbling into still another war and in pressing an Israeli government that appears to be hurtling even farther to the right.